John Mather was born in Scotland and studied in Glasgow, Edinburgh and Paris before coming to Australia in 1878. A landscape painter, teacher and etcher, he was a trustee of the National Gallery of Victoria, a Felton Bequest Committee member and President of the Victorian Artists Society. The trees in this watercolour appear to be Allocasuarina littoralis, or black sheoaks. Signed and dated l.l., brown watercolour "J. Mather. 88". 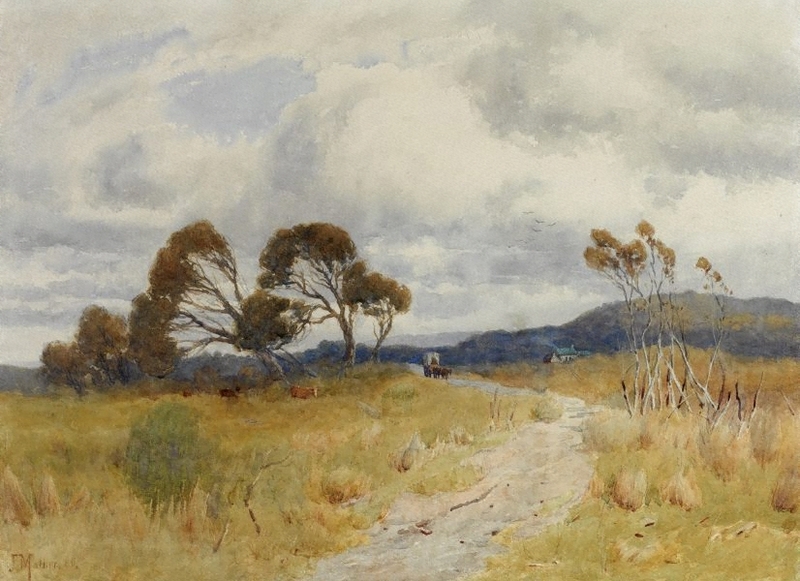 19th century Australian watercolours, drawing and pastels from the Gallery's collection , Sydney, 2005, 90 (colour illus. ).